The province of Rizal is becoming one of my favorites. It seem to have an endless offering when in comes to outdoorsy activities like hiking. 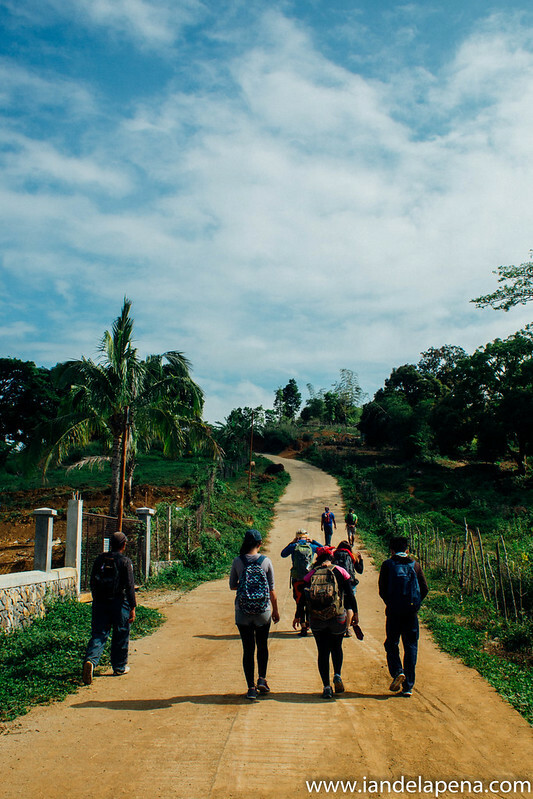 From small to tall, easy to difficult peaceful to challenging circuits, Rizal seem to offer them all. 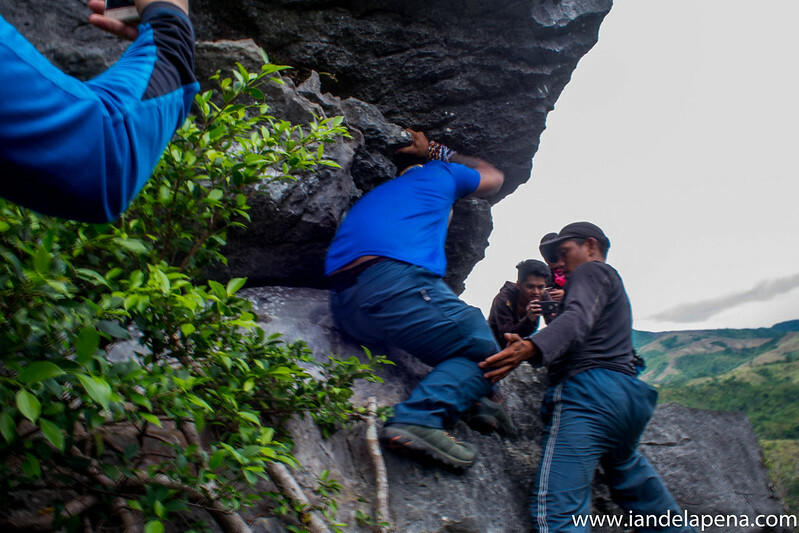 The main feature of this hike is the Nagpatong Rock Formation, this particular hike starts with an easy trail but later becomes quite technical as it would ask you to scale rock formations through a trail that was still very raw at the time of our hike. We rented a jeep from Star Mall Shaw to the jump off point at brgy. Cuyambay. If you are taking public transportation, you can take a jeep to the Tanay Market, then another to Sampaloc then rent a tricycle to the barangay hall. Alternatively, just rent a tricycle from the market to the barangay, this should cost about 500 pesos per trip. 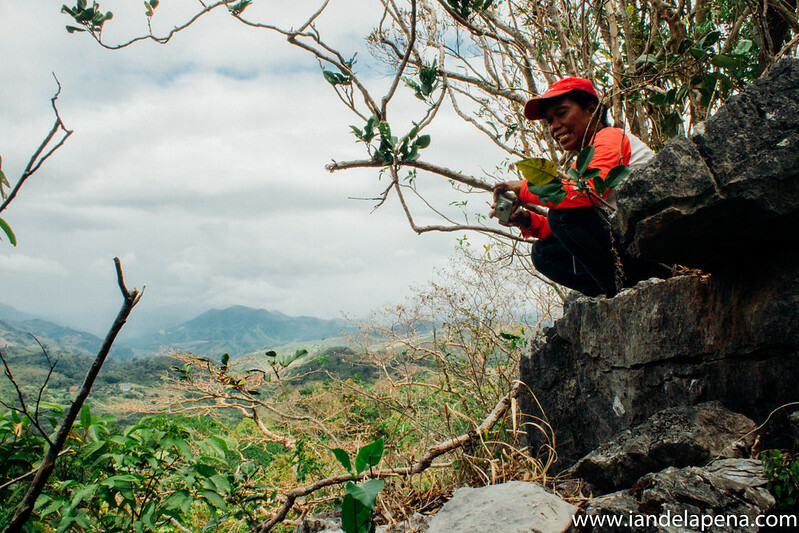 Upon arriving at the barangay hall we were welcomed by the staff of the barangay (what can I do, I was with a mountaineering rock stars 😉 ) They gave us two well trained staff that would guide us to the awesome rock formation. The trek started with a real easy hike but was quite taxing because of the sweltering heat that day. The plains started to slope up but still an easy breezy even for beginners after about thirty minutes we started traversing a good uphill slope through a dry forestry part of the trail. It was quite welcoming even though it means that we need to make an extra effort due to the uphill climb because of the cool air that the trees are giving us. Time to get high on pure oxygen baby, LOL. Like seriously, you don’t get to breath air this pure in Manila, so better take advantage. Well that’s the easy part, then came the technical phase. Come to think of it, the next part of the hike was easy, you just need a bit of courage to tackle the rock formations over. The rocks becomes quite sharp as you progress but nothing that a good glove could manage. 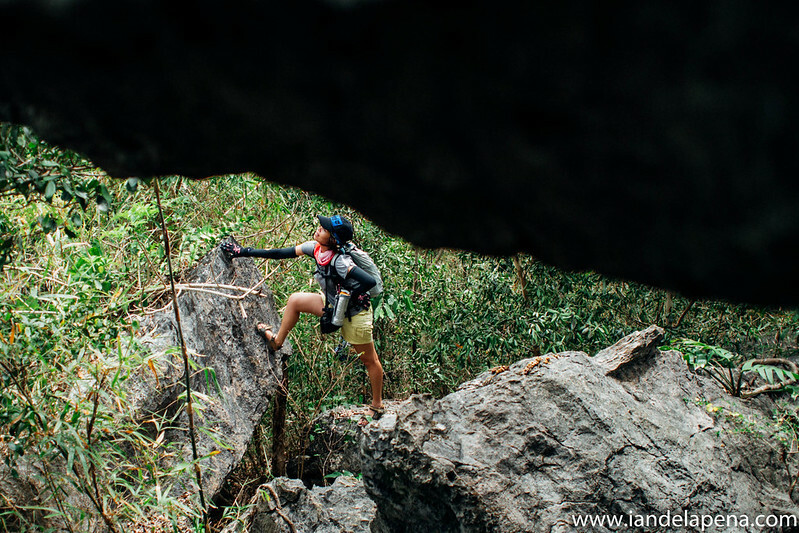 It was really lots of fun going through the trail to the Nagpatong rock formation as you’ll find a lot of crevices that are fun to take photos at, and yes we took our time. Hahaha… well this is what we came here for, the photos! It was really awesome to scale this monolith and the best part of it is more of surviving the trek going to the rocks! I don’t have much to say about this trip but it is simply a must try for some one who is looking for some quick escape and adventure near the metro. Just about a couple of hours from Manila, Mt. 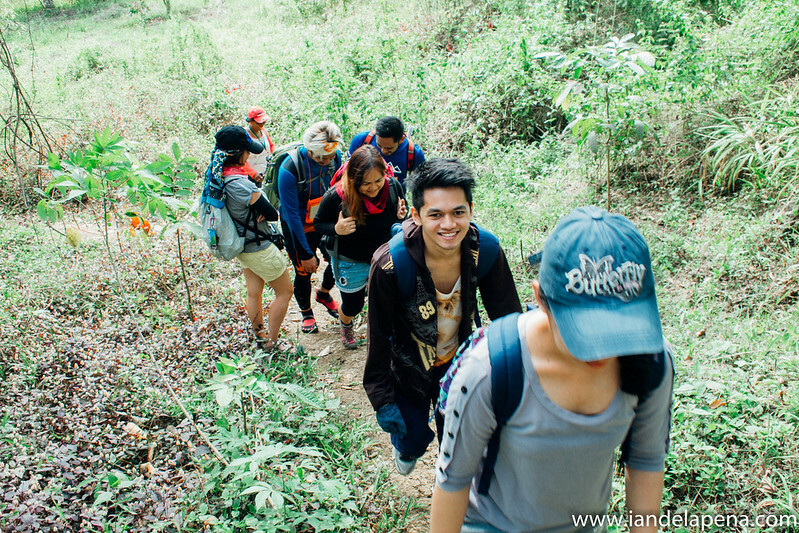 Batulao is one for recommended for newbie hikers. Two trails can be traversed while the new one is advised for the noob. 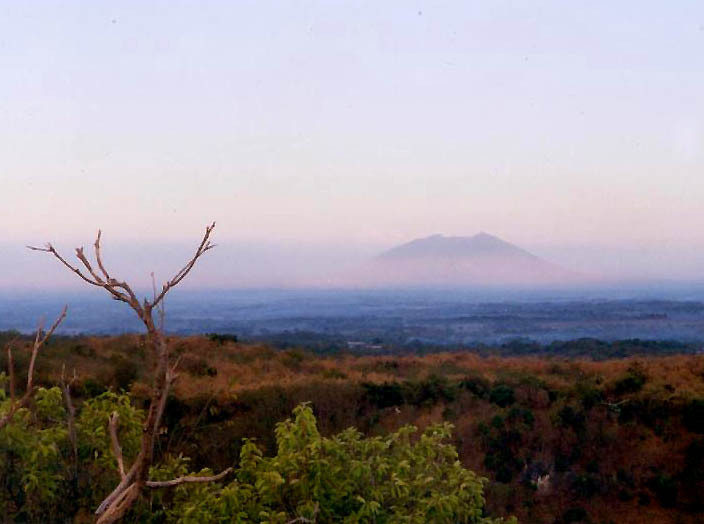 Batulao offers a 360 view of the Batangas – Cavite area that makes it popular for dayhikes. 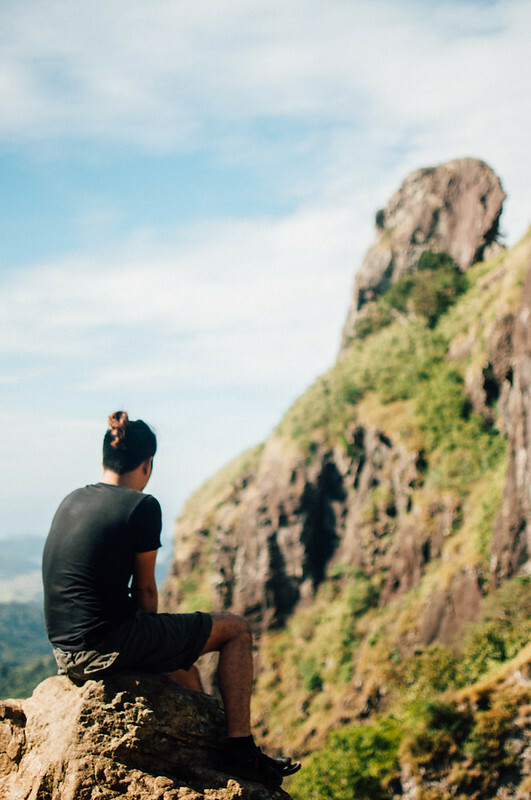 Taking its name from a Parrot’s Beak, Pico de Loro’s main draw is a Monolith that protrudes at the edge of its summit. Though a bit intimidating, this monolith can be scaled to the top! Up north in the province of Bulacan, Mt. 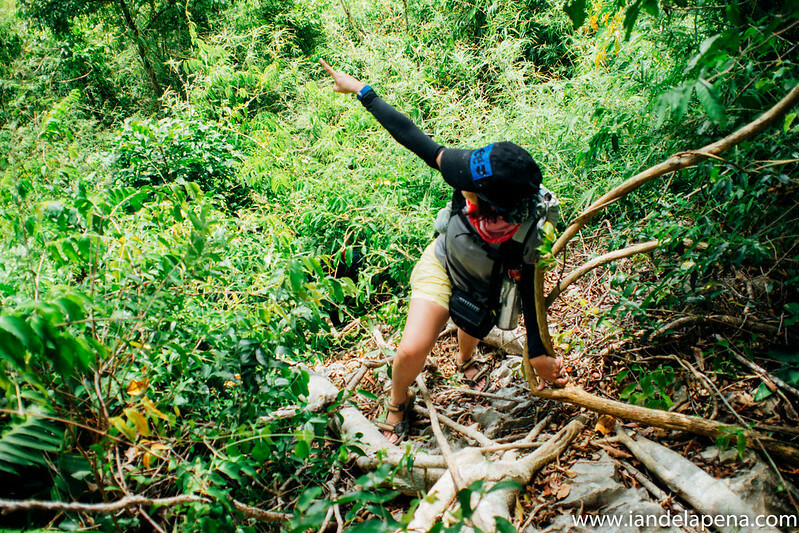 Manalmon can be hiked up within just about an hour to an hour and a half. If you feel a bit of in the mood for more you can go straight and hike the adjacent Mt. Gola. Is an active volcano straddling between the provinces of Tarlac, Zambales and Pampanga, yes you read that right it is still active. Hours of walking to and from the volcano account for this hike, what makes it newbie friendly is that most of the hike is done on the vast plains of pyroplastic materials that the volcano spew when it erupted in the 90’s. Even the assault to the mouth of the volcano is a breeze that can be done in about 15 -20 minutes. The challenge here for newbies lies in the hours of walking under the scorching heat of the sun on the best time to visit during summer. Hiking up the volcano on rainy days can be risky as the lahar that you’d be walking on becomes a river of mud when it mixes with the rain. Hope this list can help you start up your hiking escape every weekend or maybe as often as you can. Just remember to research well before going on a trip to any of them because even though they are easy hikes it can be also dangerous if normal caution is not taken. 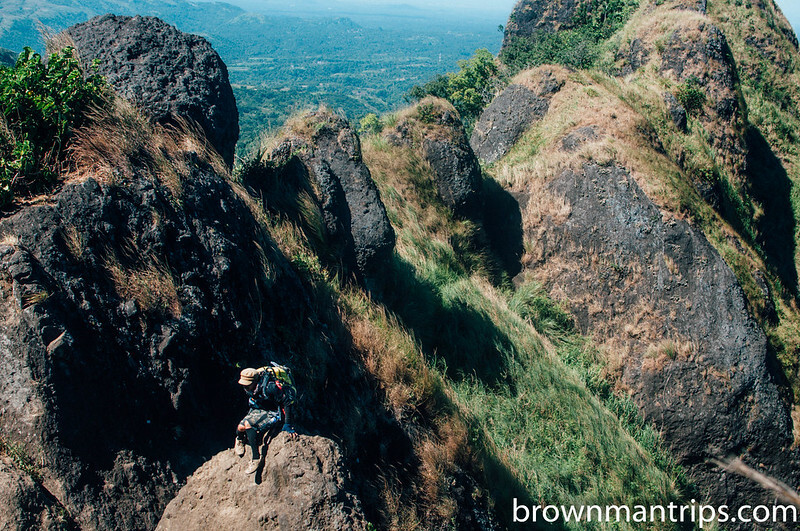 Do you have a mountain that you think can be an easy hike near the metro? Let us know through the comment section so maybe we can include them in our next list of easy to hike mountains near the metro. 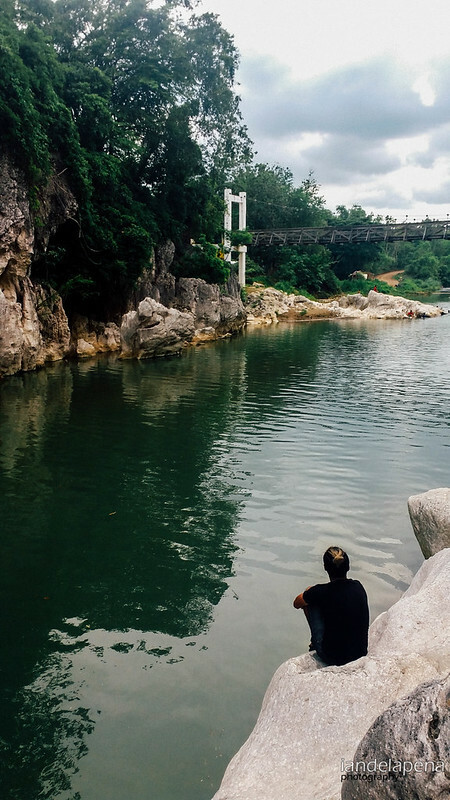 The infamous river of Bulacan that is believed to be mystical by a lot of people really is a beautiful and peaceful place to enjoy, nothing to be afraid of really. But of course conscious effort to be safe is needed like checking of weather like in any other trip is needed. So here’s a quick guide of how to get there if you’d like to enjoy the Madlum River or may be a quick day hike at Mt. Manalmon. > Take a bus bound to Tuguegarao or Cabanatuan and ask the conductor to drop you off at Bgy. Camias. >Fare price is 200 pesos per way and the tricycle can load up to four people at a time. That’s it! You are can now marvel and enjoy the beauty of the Madlum river. Mt. 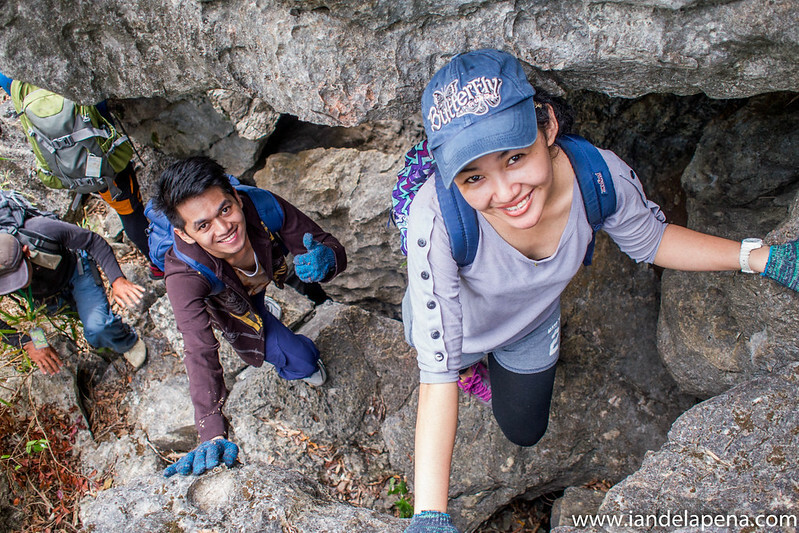 Manalmon is just a quick day hike that you can couple with Mt. Gola. Be sure to Secure a permit for your hike days before you trek. You can email them at __________, wait for the confirmation then pick up your permit the same day of your hike at the site. Plan ahead of time and communicate early on to avoid hassle and delay on your hike. The mountain may not be that tall but rules are rules. Do you have a tip for a day trip at Mt. Manalmon and/or Madlum river? Leave them at the comment section so we can include them! >Get off at Hill Crest Gold Resort entrance and walk for about 2.5kms to the jump off point – there are signages that you can follow. Over the past few months there have been issues surrounding this mountain like entrance or fees for every stop –due to private property issues- though that is somewhat more of inconvenience issue. The main issue about this destination is that there are people asking hikers to take guides even though it is totally unnecessary. In fact as you get near the jump off point there would be kids and adults alike who would offer you guiding services, like seriously! If a kid can guide you through the new trail why would you need a guide at all!? The new trail is very readable, just a straight line that you need to follow. So make sure to research well at the time before you embark on your journey to check what are the conditions of the said issue or if they have resolved it already. Be sure to check out PinoyMountaineer’s facebook and website for additional and updated information about Batulao.